Voelker Custom Homes brings more than 39 years of expertise and experience to the custom home building process for the Central Texas area. 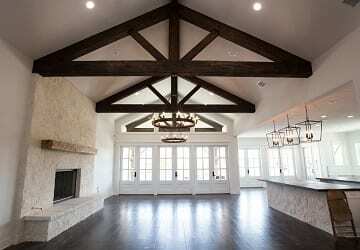 Our experience and professional team is fully capable to creating a custom home that meets our client's needs. Our goal is to make the building process a positive experience for each client and to create a home of lasting value that enhances their living environment and optimizes their investment. 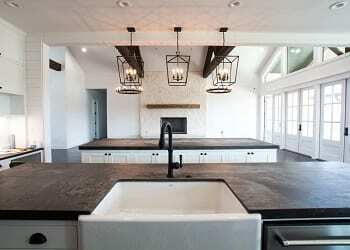 Voelker Custom Homes also offers large scale remodeling and addition project services. Through all our projects we work with our clients to keep the project on time and in budget and to reflect you style and design and to provide a home that is "Uniquely Yours ... Built to Enjoy Forever". We put our customer's first and quality craftsmanship first. To have this mentality, we believe in working as a team to provide the best results. Seeing is believing. We prefer to keep our clients updates throughout the entire construction or remodeling process. Check out our jobs in progress. We believe in providing you with the highest quality of products and features for your home. All of our homes are automatically equipped high-end features. We pride ourselves in putting our customers first and developing a trusting relationship that goes beyond the building process. We work hard in maintaining the utmost in customer service through good communication from start to finish. We feel our quality of work goes above and beyond other builders. Please use the form below to send us an email message. We can also be reached at 512-272-5458. We look forward to talking with you.